This 224 page Smithsonian Nature Guide to Gems comes with full color photographs and information on over 400 examples. The book measures 5 by 8.75 inches. -Discover and explore the diversity of gemstones with this compact and easy to use guide. Packed with more than 400 examples. 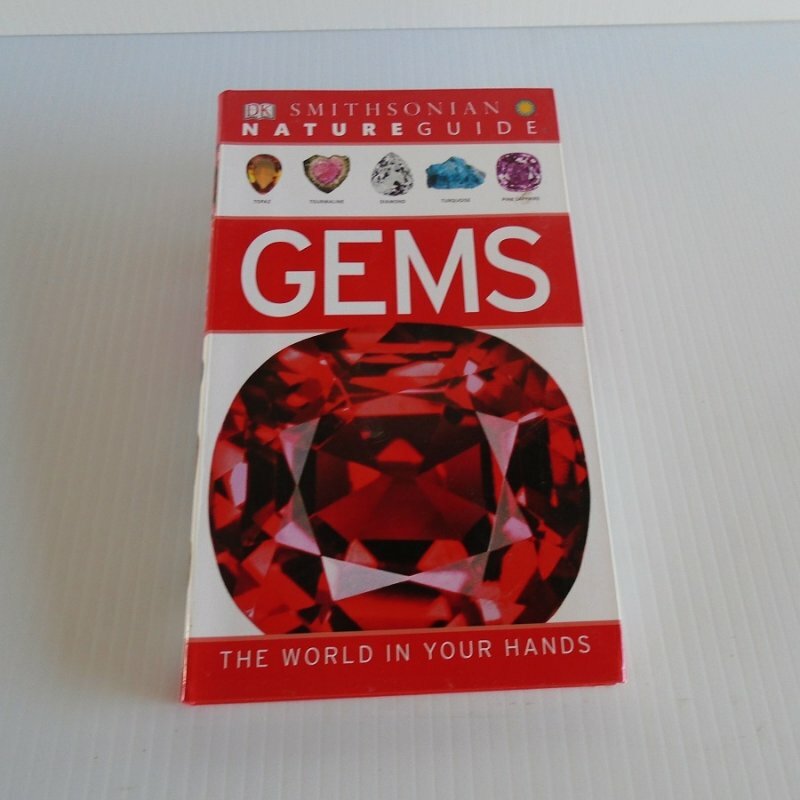 -Nature Guide Gems is the ideal companion for enthusiasts everywhere. -Covers every major group of gems, including cut stones, precious metals, and organic gems. -Stunning specially commissioned close-up photographs vividly reveal each gem and highlight its key features and facets. -Illustrated profiles detail the key characteristics of each gem and provide quick, accessible information. The guide is in wonderful condition. There are no missing or torn pages and there is no handwriting inside. Buyer to pay USPS Media Mail delivery charges of $4.70. Depending on your location, Media Mail can take 4 to 10 days for delivery. If you would prefer Priority Mail for quicker delivery just let me know and I can give you a quote on that service. Delivery to Alaska, Hawaii, or American territories will have to be via Priority Mail as the postal service will not quote a delivery time for Media Mail to those locations.